I came to Texas in 1998 from the beautiful state of Idaho. I had no idea that my family would be moving to Texas, but of course, I never planned on moving to Idaho either. Years ago, I left California for Illinois and had a horrible experience. I discovered that I was definitely a westerner. I vowed that I would never again leave the west coast. But years before that, I had also made a pledge that I would follow God’s leading wherever it took me. And that’s how I ended up in Texas. I was worried how my family would feel about living in the Lone Star State. Sixteen years later, my wife wouldn’t live anywhere else. I like Texas too, but I miss the mountains of Idaho. But I have never doubted that I did the right thing. It hasn’t always been that way. I have made missteps, just like everyone else. But I have always found that God’s plan, even if we can’t understand it, is much, much better than what we have planned for ourselves. 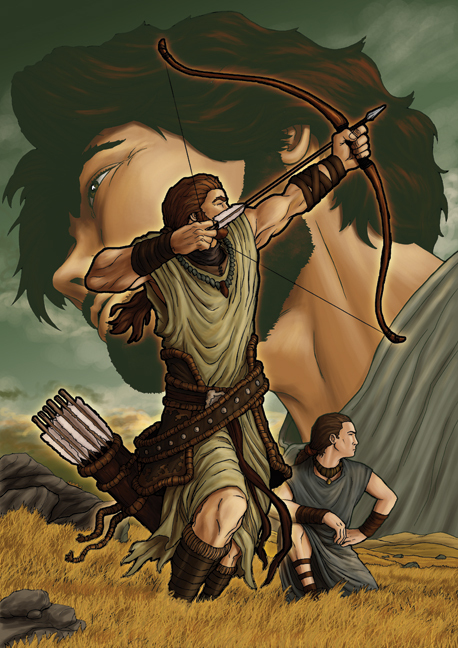 In my book, Chosen, (to be completed in December) Saul is anointed and crowned the first king of Israel. At first he is so timid that he hides from his responsibility. Later he starts relying on his own decisions and the advice of those around him rather than doing what God wants him to do. Because of this, God (through his prophet Samuel) says that Saul will be replaced as king, and that his line of succession will be cut off. Ziba hardened his mouth and suddenly punched the wall. Dust filtered down from the ceiling. Jonathan stared at the corner, shaking his head slowly. “But I assumed…everyone assumed…” Ziba spluttered. God’s ways are not our ways, and our ways don’t always coincide with God’s better plan for us. But that’s the point. God’s ways are always better. The bottom line is: do we trust Him enough to follow Him even though we don’t agree with His decisions? It’s not an easy thing to do. But it’s the right thing to do. Great post! Your book sounds pretty interesting. Looking forward to reading it.